Are you tired of your kids constantly losing everything? We know as parents, no one has the time to search through the multiple tables of jackets and chaos that is the Lost & Found pile. Plus what about all the wasted money! You can never go overboard when labeling your children's items. I am still amazed that my child can come home with a missing shoe. Label it.. or lose it. Below are our Top Labels and Best Uses to help keep your stuff safe. These labels are great for...you guessed it...everything! They come in four different sizes: X-Small, Small, Medium, and Large. The X-Small is great for clothing, pencils, pens, markers, scissors and all those little supplies. The Small is perfect for items such as mini staplers, rulers or jackets. The Medium would be best for water bottles, books, glue, calculators or lunch boxes. The Large works well for backpacks and sports equipment. 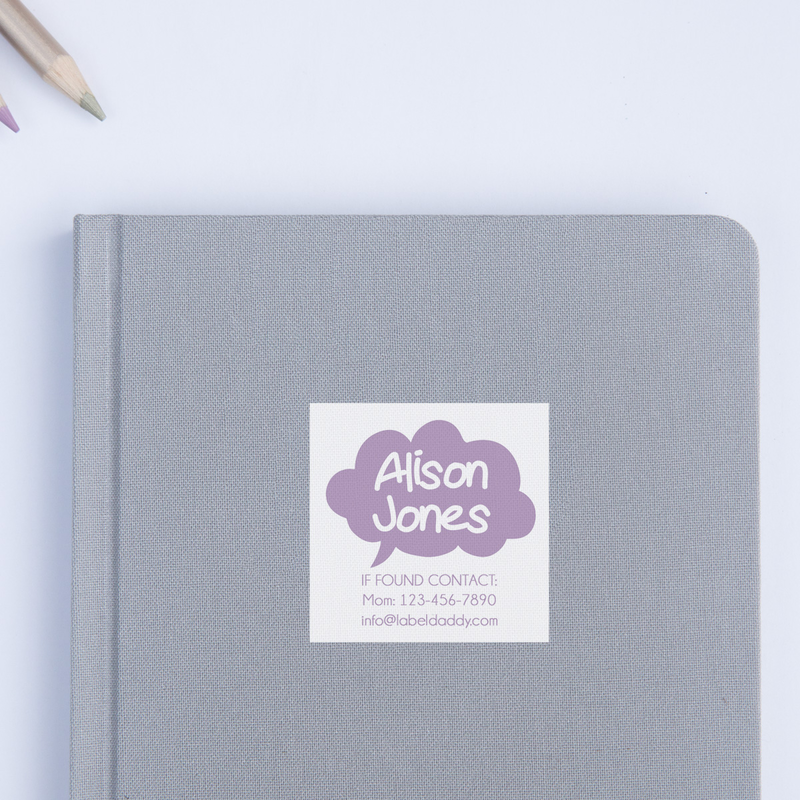 Don't be fooled by the name, our Shoe Labels have far more uses than just for shoes! They are also a great size for pencil pouches, water bottles, lunch boxes and notebooks! Shoes Labels come in two sizes: Standard and Mini. 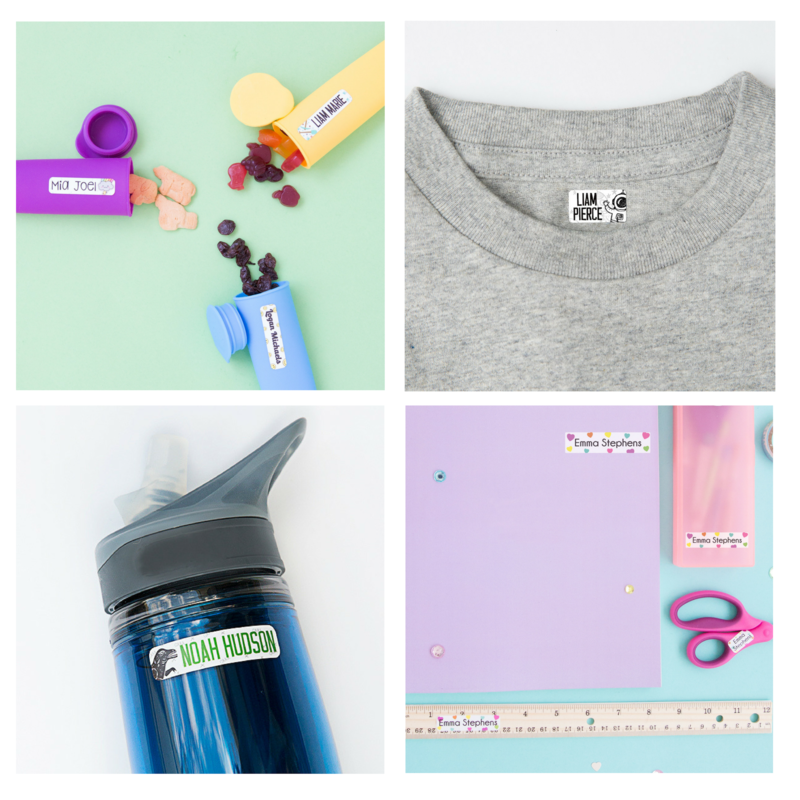 Want a little extra info on your kiddo's label? 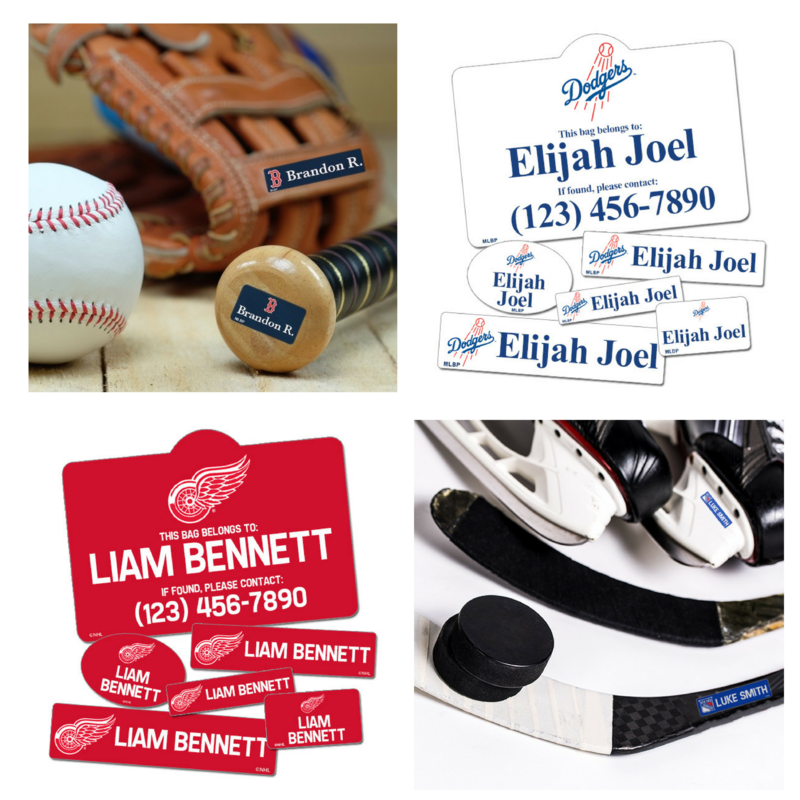 Contact Labels have a place for your contact information to get your child's lost items back to you quickly! 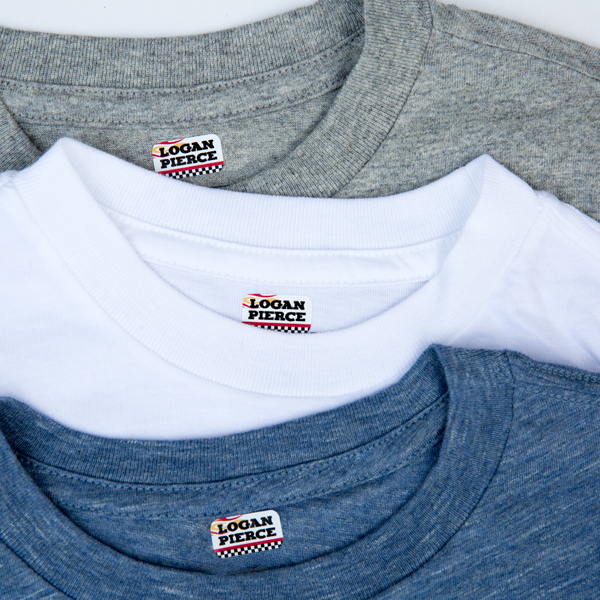 These X-Small Clothing Labels are the perfect size for garment tags and are laundry safe! Think of all the money you are going to save when you don't have to replace any lost jackets this school year. If you have a child with allergies, our Allergy Labels help you have a little more peace of mind while they are school. 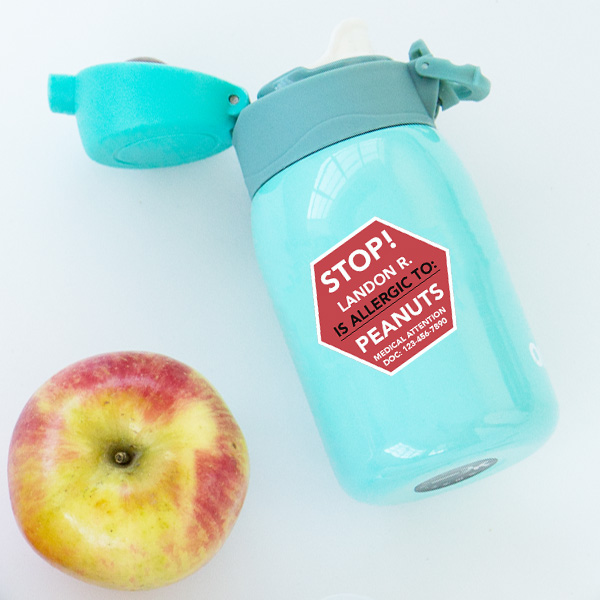 These customizable labels come in a variety of different styles to alert your child's teachers and classmates of their allergies. We know what you're thinking.. wow I need all these labels! 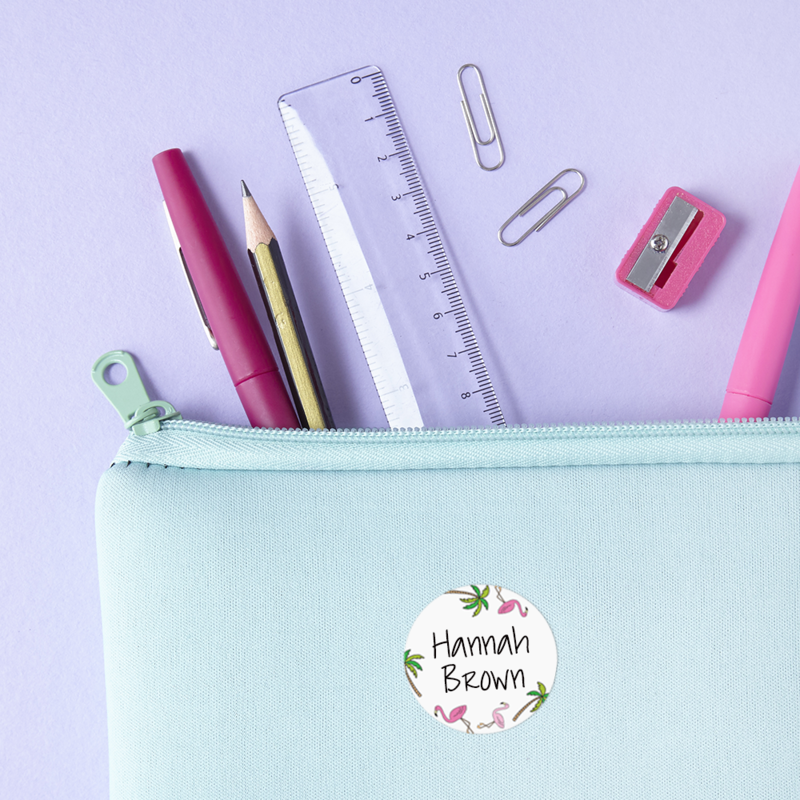 Well lucky for you we made the School Pack with multiple sizes for all your labeling needs. Woohoo! 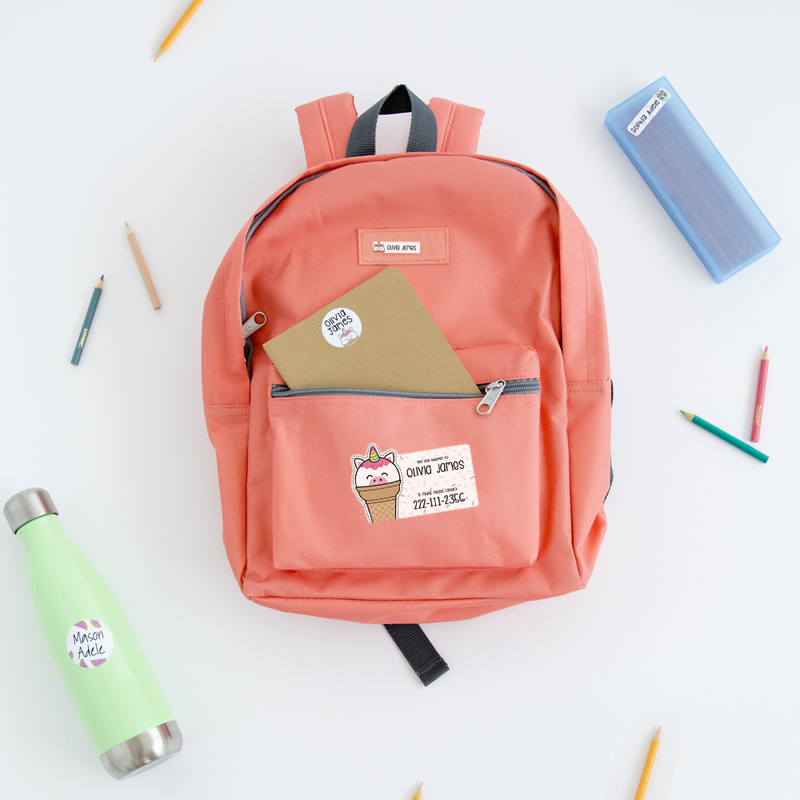 Now you've got all the labeling tips to make this school year a breeze. Ready, Set, Get Labeling!